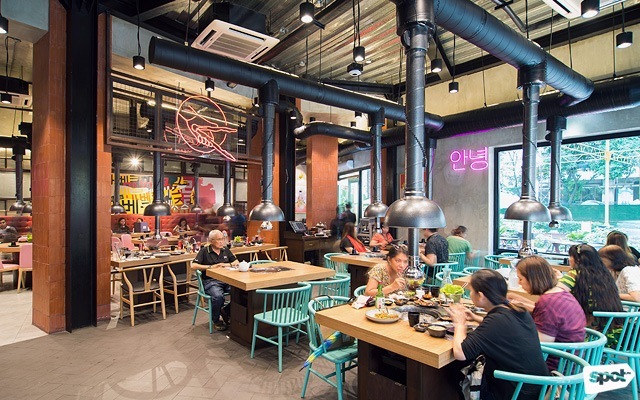 K-barbecue fans, their new Eastwood branch is now open! 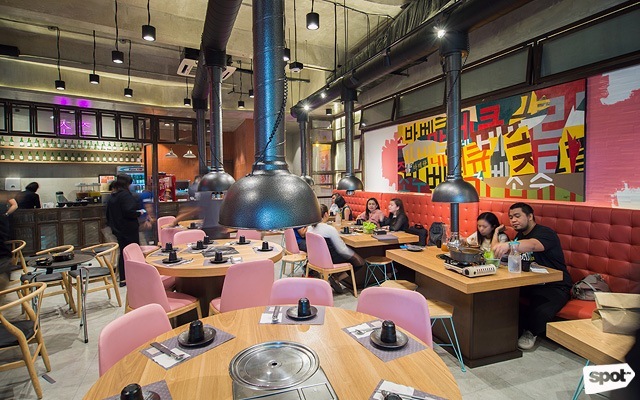 (SPOT.ph) It’s not yet over for the K-barbecue sensation in Metro Manila. Amid the endless options, from humble neighborhood joints to fancy sit-downs, Jin Joo Korean Grill remains to be one of the heavyweights—and it’s surely done something right to set it apart from other Korean restaurants. Just two years since they opened their first branch in Bonifacio Global City, they’ve decided to add another one to their roster: Eastwood City. “Jin joo” literally translates to “pearl” in English—quite apt given the consistent quality of Jin Joo’s dishes, which makes dining here feel somewhat luxurious. 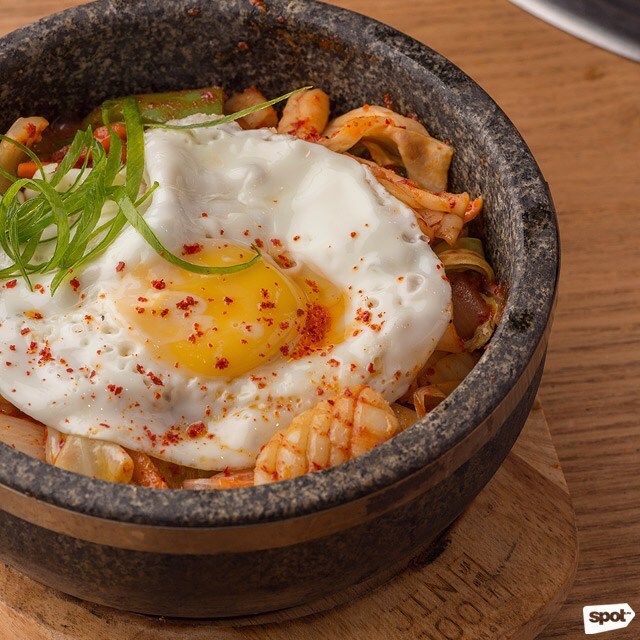 Their vegetables are always new, while Jin Joo’s meals feel like you’re eating them in a restaurant sitting in the cool districts of Itaewon or Myeongdong. But, the star, of course, has always been their fresh seafood and meat, whether it be pork or beef. 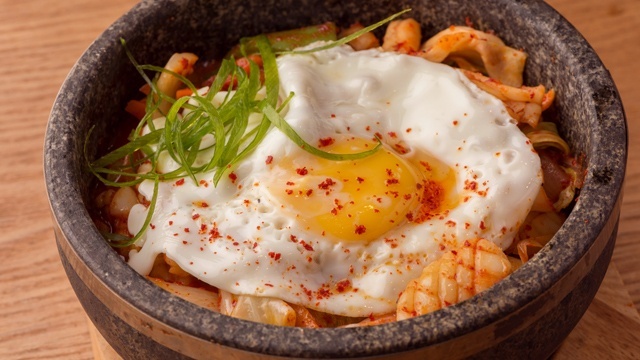 Your favorite Korean specials are still around of course. 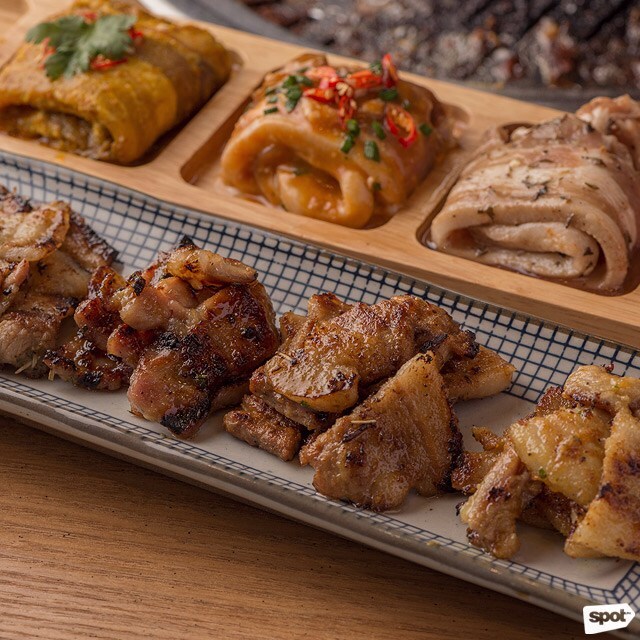 Jin Joo’s Eight Flavors (P1,560) is a heavyweight, with eight portions of juicy pork cuts that are marinated for three days. That’s a whopping 640 grams of pork—but it’s hard to get tired of it since the flavors Peanut, Smokey BBQ, Honey Garlic, Herb, Curry, Miso, Red Pepper, and Sweet Wine make every bite different from the last. 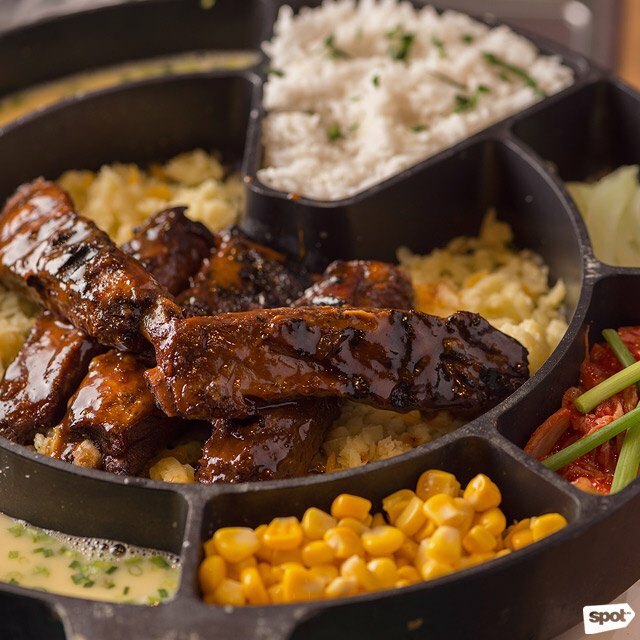 The Cheese Deung Galbi (P950) continues to make waves on social media with its IG-worthy cheese pull, and now folks in the North can have it minus the drive. You’ll get a spicy serving of their signature kimchi rice and fall-off-the-bone baby back ribs, which you can dip in gooey cheddar and mozzarella that they melt right in front of you. 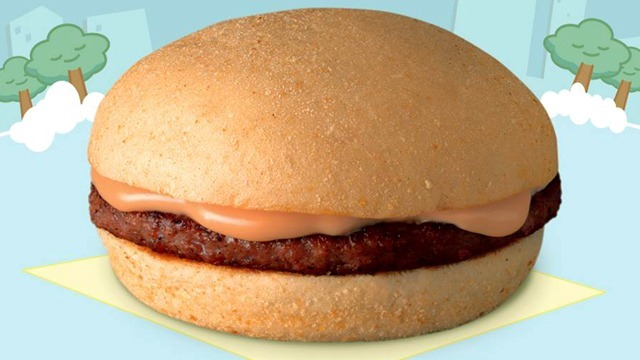 Just try to be patient as you watch the cheese ooze on the scrumptious sticks of glistening pork. 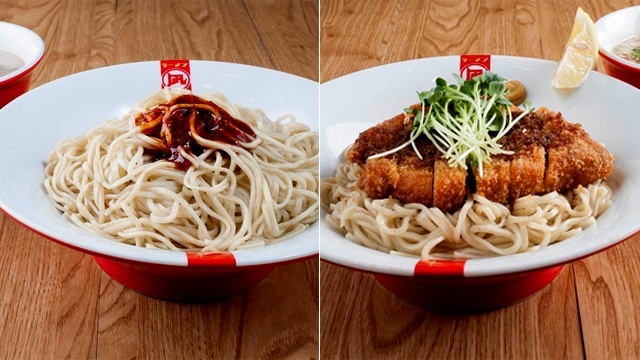 But, while most of Jin Joo's dishes are best shared with a group, their new bowls are perfect if you're dining on your own. 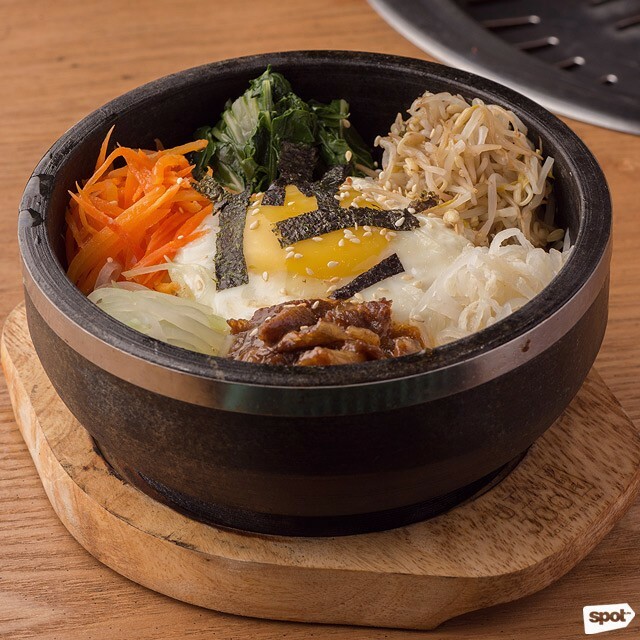 Try their tasty Dolsot Haemul Bokkeumbap (P350) or Korean fried rice, and their Dolsot Bibimbap (P350 to P420) or hefty rice bowls that are topped with either pork or beef, plus lots of veggies. The medley of cucumber, carrots, sweet bean, and kimchi makes a beautiful symphony in the mouth, alternating from cold to sweet to spicy, and will make you dig in for more. 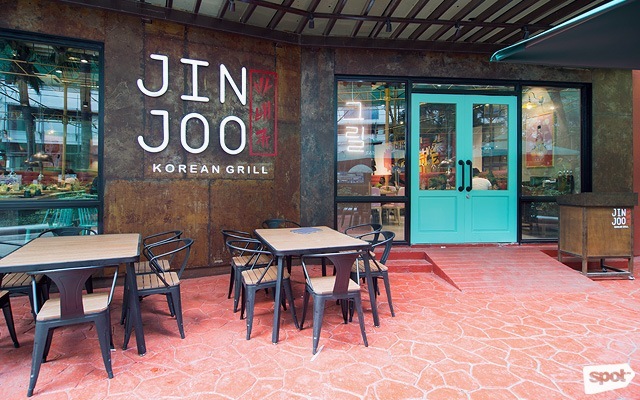 With the rate they’re going, Jin Joo’s success won’t stop in Eastwood City—in fact, two more Metro Manila branches are already in the works. The K-barbecue trend isn’t dead yet, and perhaps its Korean restaurants like Jin Joo that are keeping it alive. Jin Joo is at Eastwood City Walk 1, Libis, Quezon City.